Cancer is in charge of gastrointestinal tract and lactiferous glands. This sign is associated with parenting and satiation. 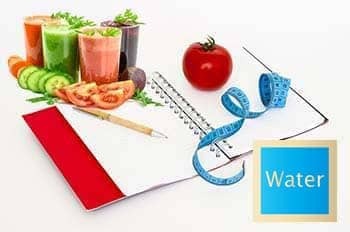 Health picture: Cancers are prone to add in weight gradually through life, and especially in the older years. Nervous illnesses are common problem for all Cancers. They suffer from their nervousness and touchiness. They are apt to have troubles with stomach and digestion. They should be picky in food. Most of the diseases connected with stomach are often for Cancers, especially ulcers and gastritis. Their water element implicates that they have no limit in drinking, especially in alcoholic beverages. Cancer's biochemical cell salt is calcium fluoride. It works to support the elasticity of the tissues of our organs. Eating tips: The lack of this biological cell salt can result in problems with veins such as varicose or thrombosis. It also causes problems with bones and spine, creating scoliosis and problems with eyesight. 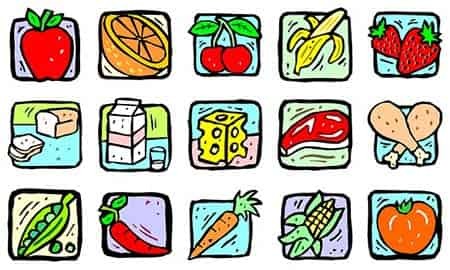 Foods that contain calcium fluoride are: eggs, wheat, rye, beetroot, kefir or yogurt, and seafood, oysters especially. Due to their problems with digestion, it often reflects on the condition of their skin, causing acne or dermal irritations. 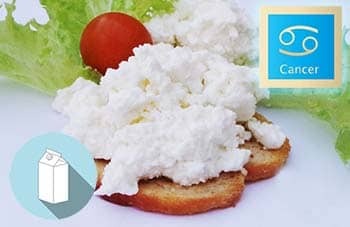 Dairy, especially cottage cheese should be included into their diet, as well as green salad and tomatoes. Include hibiscus into your diet it to decrease digestion problems. Avoid: Food rich with starch like banana and potato. You shouldn't eat much salt, because it prevents normal fluid's circulation. Cancers' stomachs react badly on spices and seasoning, so try to be moderate in it. Hot peppers and sauces are highly not recommended. They irritate the stomach. The main purpose of Cancer is to keep track of stomach activity and ensure it being proper and healthy. Cancer, Scorpio, and Pisces are considered to be really sensitive to their surrounding, especially to bacteria, viruses and microorganisms. In case of water signs most of their health problems are connected to their mental and emotional state.